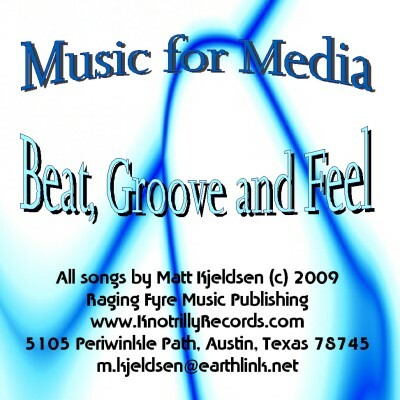 Beat, Groove and Feel (2009) rocks more than most of the other Music for Media CDs. Guitars and rock drums are more out in front on many of the tracks. Jazz and alternative tracks also surface on this very present and active CD.